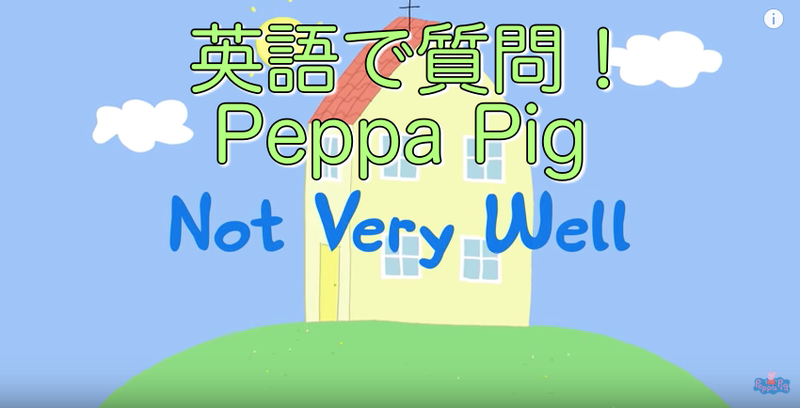 英語で質問！Peppa Pig（ペッパピッグ）- Not Very Well | English Culture for Kids! Q1. What did Peppa on her face at the beginning of the story? A1. She had some red spots on her face. Q2. Where did Dr Brown Bear told Daddy Pig for Peppa to stay in? A2. He told Daddy Pig for Peppa to stay in the bed. Q3. Who did Peppa want to come to visit her? A3. Peppa wanted Suzy Sheep to come to visit her. Q4. What did Suzy wear to see Peppa? A4. She wore a nurse’s outfit. Q5. What did Peppa ask for Suzy, Danny, and Rebecca? A5-2. Peppa asked Danny to ask Mommy Pig if she can have ice cream. A5-2. 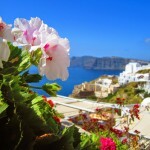 Peppa asked Rebecca to bring her some flowers from the garden.